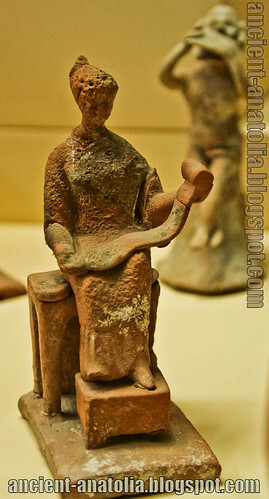 Figurines of ancient musicians, Assos of Troas, 4th century B.C. Behramkale, Turkey. 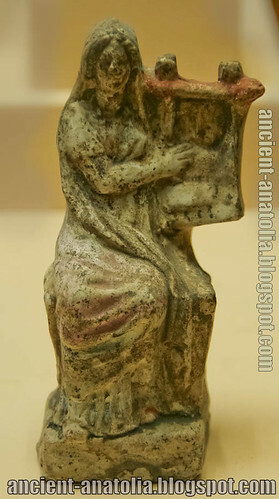 These figurines were burial gifts found in the sarcophagi excavated in Assos cemetery dating to the Classical Period. They can be related to the cult of Dionysus. 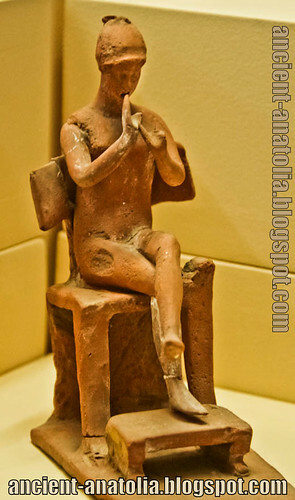 Several of these figurines are depicted as playing musical instruments such as flute, lyre, kithara and drum, while some are depicted as singing and dancing. Canakkale Museum of Archaeology, Turkey. 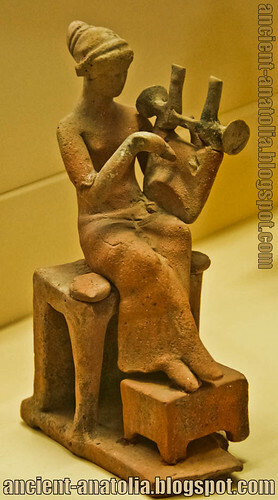 The modern orchestra has its historical roots in Ancient Egypt. The first orchestras were made up of small groups of musicians that gathered for festivals, holidays or funerals. The term orchestra derives from the Greek name for the area in front of the stage reserved for the chorus, a group of performers in the plays of classical Greece, who comment with a collective voice on the dramatic action. Cithara (kithára), wooden type of the Greek lyre: Anonymes, De Bellermann, exercices instrumentaux pour cithare solo (IIIe ap. J.-C), transmis par divers manuscrits du XIIIe au XVIe siècle. Chorus: Oreste, Euripide, (408 av. J.-C), strophe et antistrophe, pour voix, aulos traversier, cithare et kroupeza, papyrus inv. n° G2315 de l’Österreichische Nationalbibliothek de Vienne (fin du IIIe s. av. J.-C). Ancient Roman Music - Synaulia I, Track "Synphoniaci" from Synaulia, Vol. 2 - Wind album.